Aug 26, 2016 @ 12:42 PM — by Sharon B. Mateja, D.D.S. The people of Rancho Cucamonga know that they can count on our practice for advanced dental care, always with an emphasis on total wellness as well as smile aesthetics. We take an advanced and holistic approach to general dentistry, which means we consider all aspects of dental health. Many people think that good dental care is only about the teeth and gums. In fact, dental treatments can also zero in on other parts of your mouth, and even the general condition of your mouth itself. With that in mind, let's look at dry mouth and the potential dangers it can pose. Dry mouth refers to a lack of saliva production and reduced moisture in the mouth. The condition is also known as xerostomia. The condition may be caused by a variety of problems, from blocked salivary glands and advanced age to symptoms related to general health and dental health problems. Dry mouth can be annoying, but as you are about to read, it can also be the sign of a serious health issue. Dry mouth can make it much more difficult to speak and eat. This can make communicating and certain job duties extremely hard, which is important to consider if you are the public face of a company. Eating certain food could become an issue, which, over a long period of time, can cause nutritional deficiencies and other problems. Tooth decay and acidic erosion can both result in weakened teeth and a greater likelihood of tooth damage and injury. When you suffer from dry mouth, there is no saliva present to help with the reminerlization of the teeth. This means that the damage done by decay and erosion can progress much faster. Periodontal disease can wreak havoc on your dental health as well as the overall appearance of your smile. When your mouth is dry, this is an ideal condition for the oral bacteria that causes gum disease to thrive. This means that, like tooth decay and acidic erosion, your case of periodontal disease can progress to a far more dangerous and advanced stage. We alluded to it above, but recurring and chronic dry mouth is often a symptom associated with other health problems. The most notable of these health conditions is oral cancer, with growths affecting the salivary glands. If you notice pain around the jaw or throat coupled with dry mouth and any other disconcerting symptoms, be sure to get these matters checked out as soon as possible. In terms of treating dry mouth, the best options can vary since the cause of the issue ought to be treated directly. For minor issues of dry mouth caused by small blockages and temporary problems, dentists will typically recommend sour candies to promote salivation as well as artificial saliva products. For more advanced cases of dry mouth linked to major health issues, surgical treatments and other more invasive therapies may be recommended. 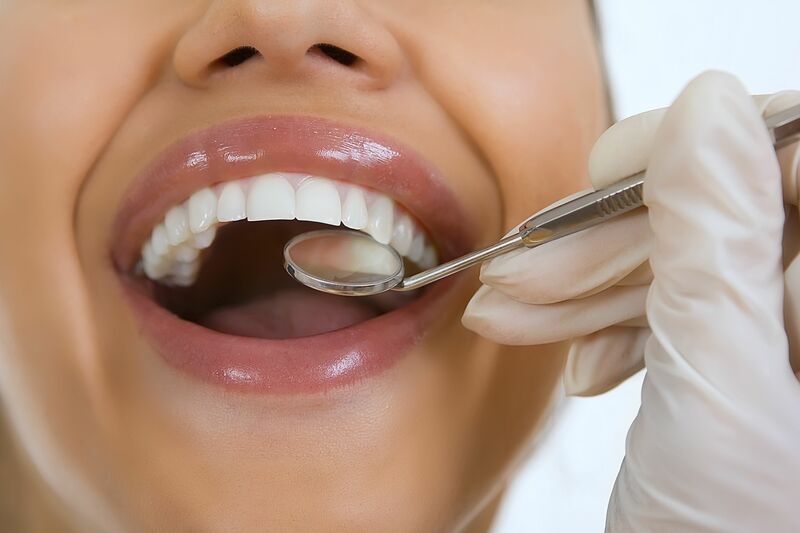 For more information about treating dry mouth and improving overall dental health and wellness, be sure to contact our cosmetic and restorative dentistry center today. Our team will work with you to help you smile with improved dental health and aesthetics.